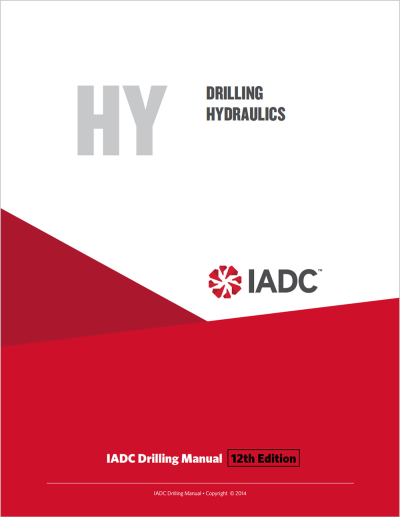 This early-release chapter of the 12th edition of the IADC Drilling Manual, explains how hydraulics impact the drilling process. © IADC. All rights reserved. The new eBook discusses what is covered by the broad term “hydraulics”, as well as briefly describing hydraulic-related equipment. Hydraulic parameters, such as density, viscosity, yield point, rheology models, flow rate and fluid velocity are covered. Velocity and circulation rate determinations for both duplex and triplex pumps are discussed. Applications of hydraulics, including estimating bottomhole pressure and wellbore pressure management are covered, as is annular velocity. Five color illustrations and charts. 8 pages, including index. © IADC. All rights reserved. Purchasers of any eBook chapter of the IADC Drilling Manual, 12th edition are entitled to a complimentary electronic copy of the IADC Glossary: acronyms, abbreviations and definitions. Your confirming email will include links to your purchased eBook and to your complimentary copy of the IADC Drilling Manual Glossary. Already purchased an eBook? Find your Order Number and Redeem Here.